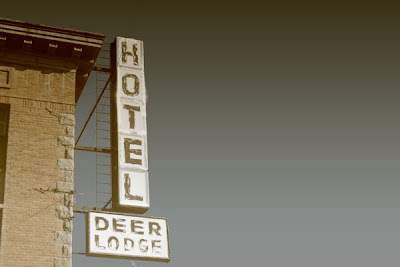 Yeah, well...my best memories of the Deer Lodge Hotel...featured their newsstand! They carried some rather racy material in the 50's. We would saunter in and pretend to read Popular Mechanics...and hide a skin (largely clothing clad in those days!!) mag to peruse. After a few minutes, the clerk would figure it out...and tell us to "Buy it or Leave it!" Historic musings: Not all are lofty! !